Pit Bike Mini Moto Quad Motard Dirt Bike Inline Fuel Tap. 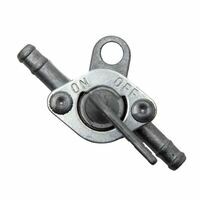 Generic fuel tap than can be fitted to most Vehicles. Dimensions 5mm inlet and outlet nozzles.